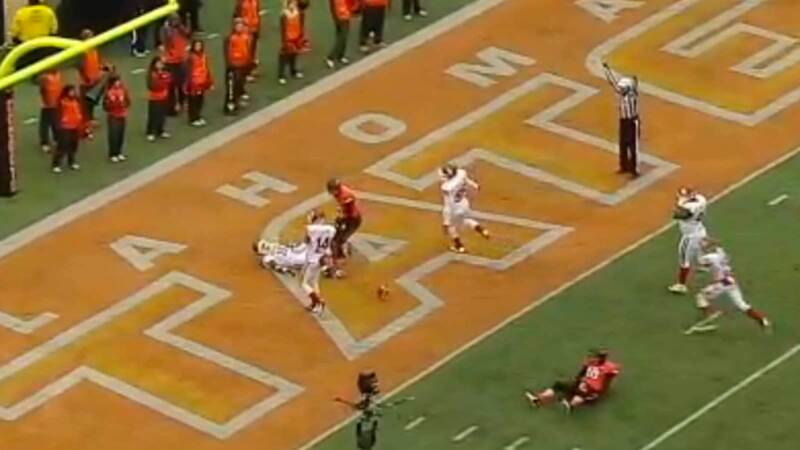 Oklahoma iced its Bedlam victory over Oklahoma State with a quirkly touchdown as the Cowboys tried desperate measures on the last play of the game. Not quite: if you enjoy partaking in wagering, particularly over/under bets, this one either was an early Holiday present or was plenty of coal in your stocking. The over/under on the game closed at 56.5 points. The tough math means that boosted the point total to 57, so you either cash or crash.